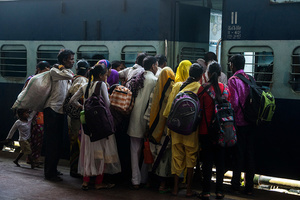 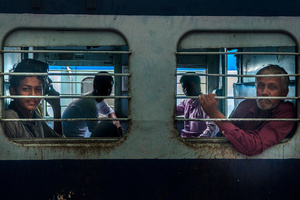 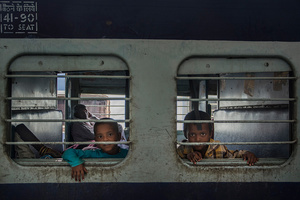 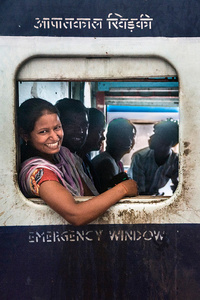 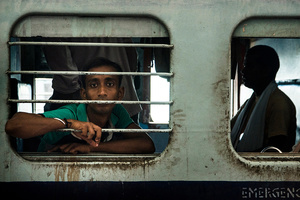 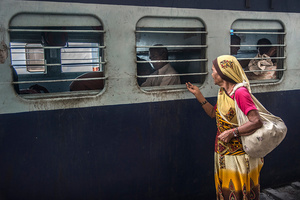 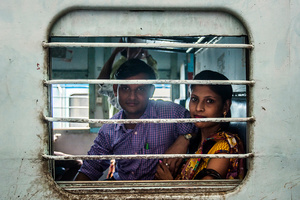 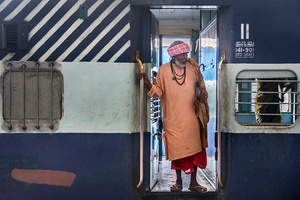 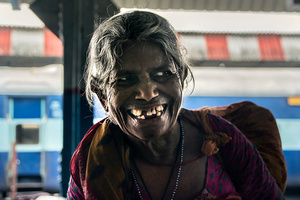 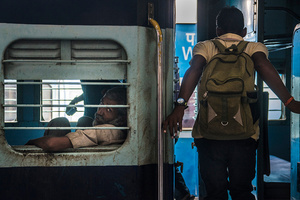 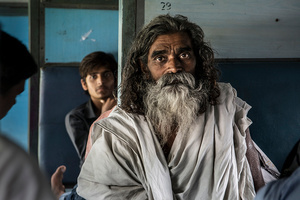 Train is the cheapest way of transportation in India. 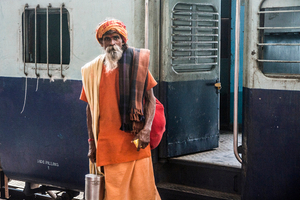 The cheapest lodge is like 10 Indian rupees from one city to another. 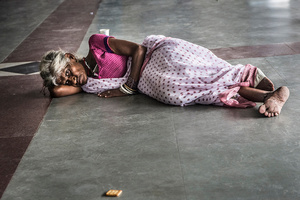 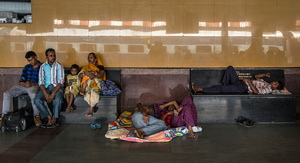 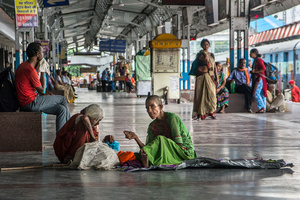 Besides, train stations are home like places for homeless and abandoned ones. 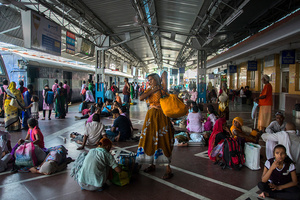 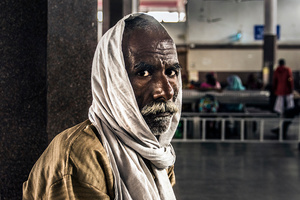 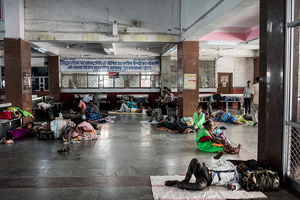 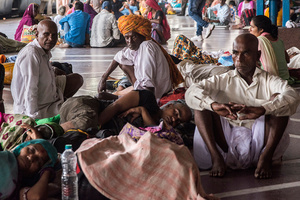 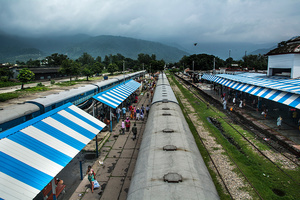 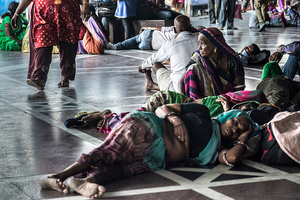 Here is Haridwar train station, located in Uttarakhand, India. 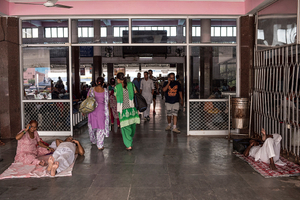 I've passed through this station on my way to Rishikesh, a few times.